As experienced wedding planners and event stylists, we are always keeping a close eye on the latest wedding trends, styles and ideas. 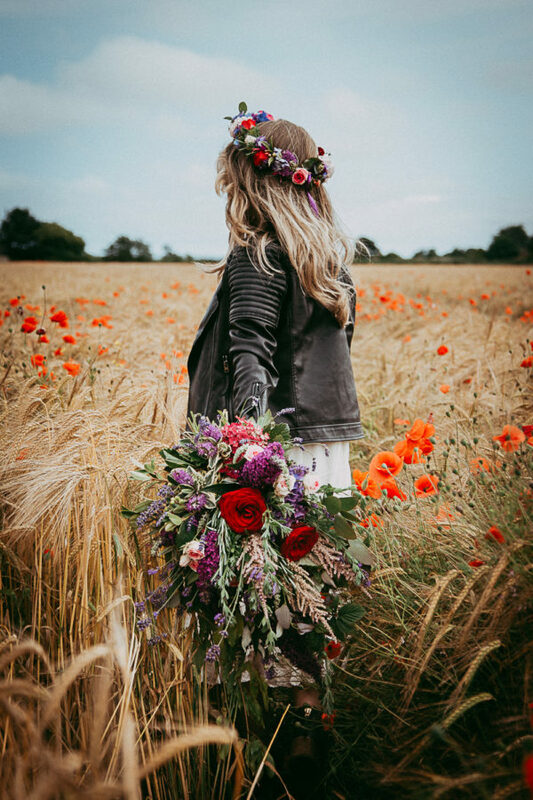 With 2018 upon us, here is a round-up of the most anticipated wedding trends for the year ahead. If you haven’t heard about this trend, where have you been?! 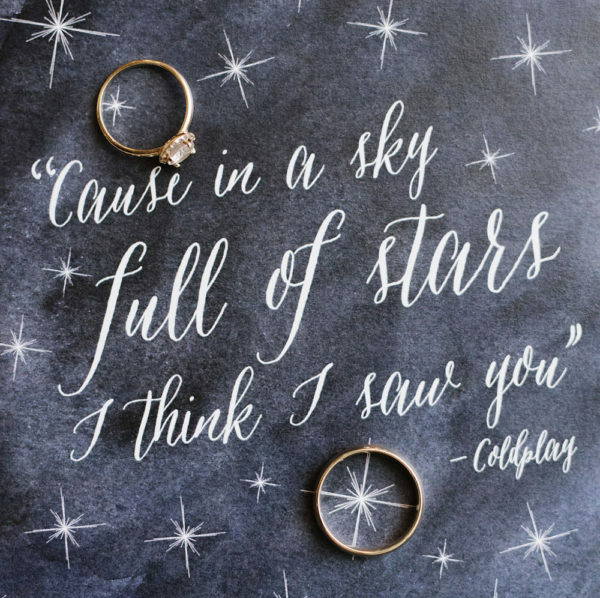 Couples are going to be going starry-eyed for a celestial wedding theme in 2018 and we can’t wait to see all of the magical wedding themes, decorations and details. As you know, greenery was Pantone’s Colour of the Year for 2017, and it proved hugely popular among both couples and wedding suppliers. 2018 is all about ultra-violet, and we’re excited to see how brides and grooms embrace this colour-popping shade of purple. Gone are the days of traditional chair covers! 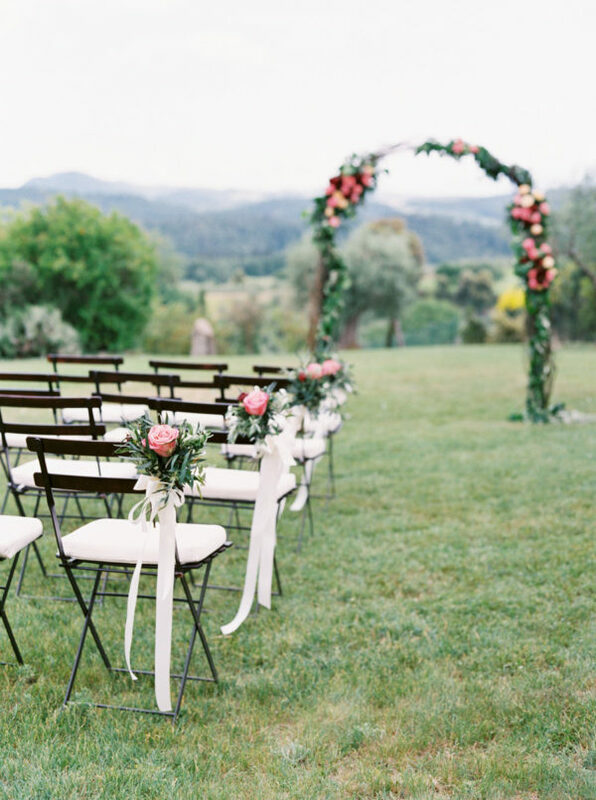 Couples love getting creative with their chair decorations and we love seeing the impact they can have on the overall décor of a wedding venue. 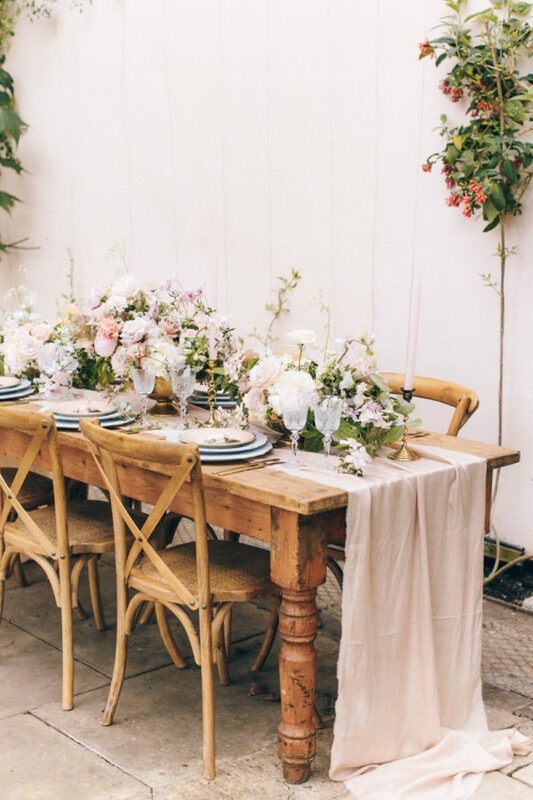 From ghost chairs adorned with foliage and greenery to rustic wooden chairs entwined with beautiful blooms, the options are endless. 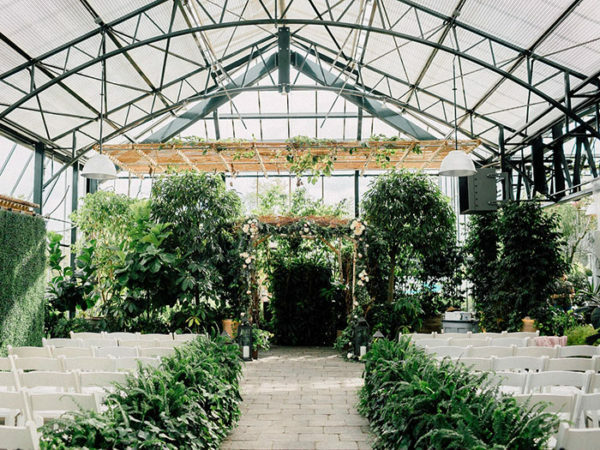 More and more couples are bidding goodbye to traditional wedding venues and are instead embracing unique spaces and locations, such as industrial warehouses, glass marquees and even greenhouses. These unusual settings are a great fit if you’re not a fan of a castle, hotel or barn wedding venue. When it comes to predicted colour palette trends for 2018, it looks like dusty pink is set to stay in the spotlight. While blush pink has captured our hearts in the past, we adore this modern take on a classic shade of pink. 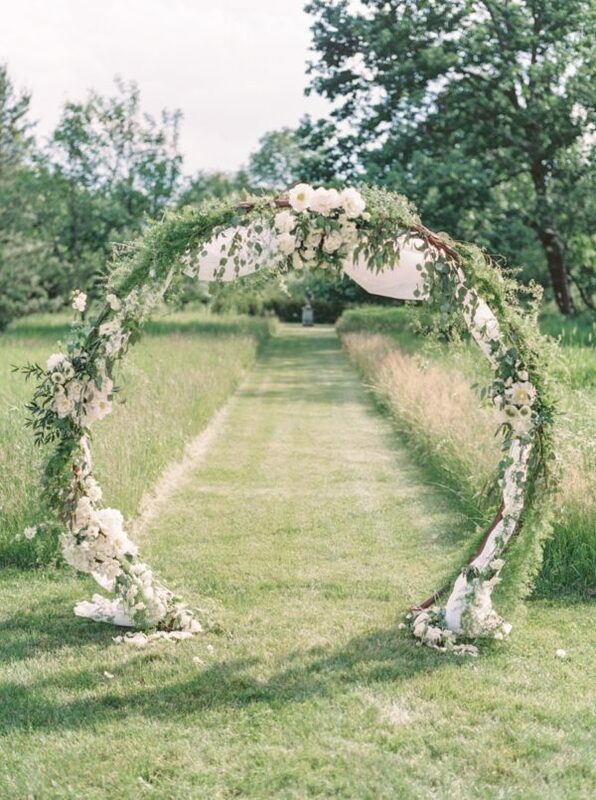 Floral archways are undeniably romantic, so it’s no wonder they will be set to make an even bigger appearance in 2018. From hanging floral installations to circular backdrops, a floral archway really does make an incredible place for you to say ‘We Do’ and it can transform any wedding venue. 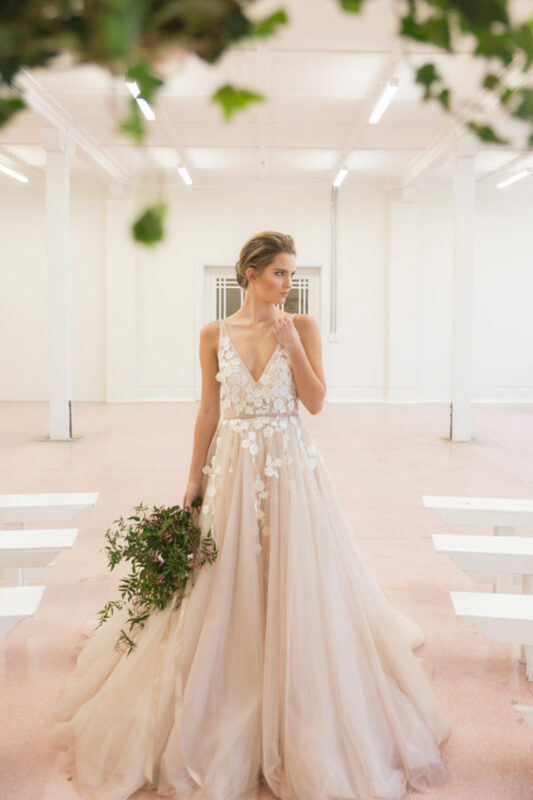 Speaking of flowers, you will find dresses adorned with 3D floral appliqué in 2018 and these gorgeous gowns are a fabulous and feminine way of making a fashion statement as you walk down the aisle. Add a modern edge to your aisle style by rocking a leather jacket on your wedding day. Not only will it keep you nice and warm during the cooler months, it’ll look seriously stylish. We love the thought of personalising it with ‘Bride-To-Be’ or your newly-married name. The best news? You can wear it after the big day with a pair of jeans! For the grooms out there, velvet jackets and suits are set to be the hottest groomswear trend of the year. 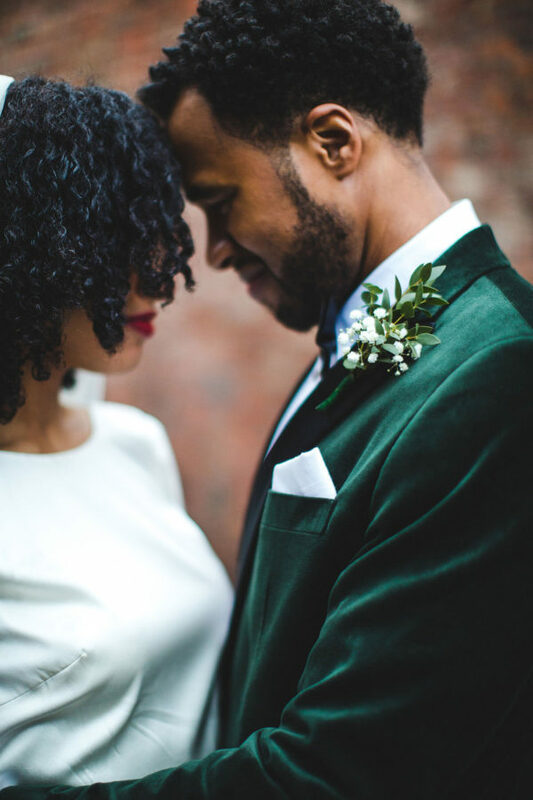 Offering a dash of luxury, velvet suits are a great choice for the style-conscious groom. We recommend opting for jewel tones, such as emerald, navy and burgundy. 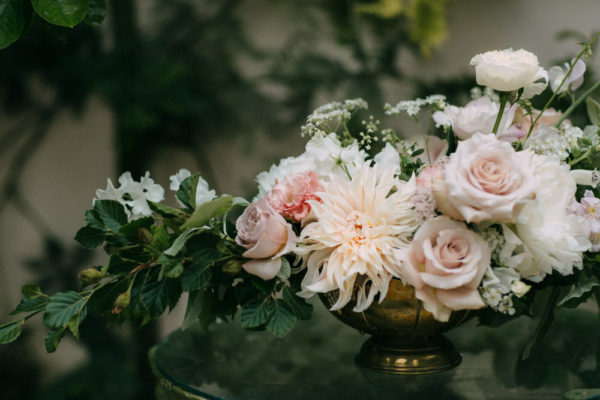 Brides and grooms are waving goodbye to old-age traditions and are instead embracing new ideas for their celebrations, and our favourite is definitely ‘the first look’. 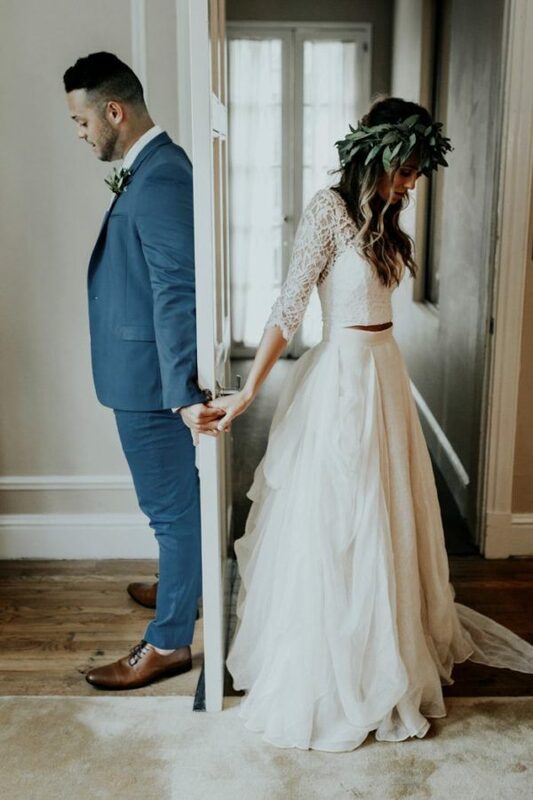 It gives you an opportunity to sneak five minutes together before the ceremony – it’s a moment you’ll cherish forever and your photographer will adore capturing it on camera. If you’re planning a 2018 wedding and you’re looking for a helping hand, do get in touch with Lily & Lavender here! I’m LOVING these trends so much – especially the Celestial Wedding Themes prediction. 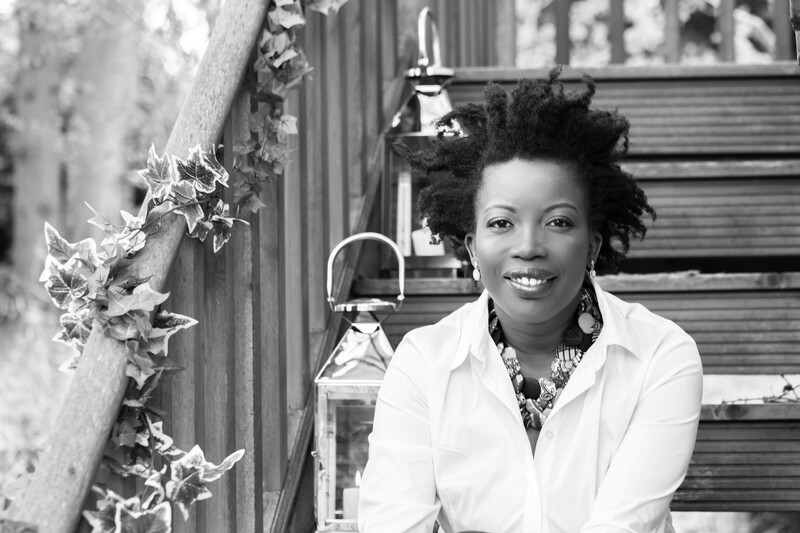 I cannot wait to see weddings this year implementing these fantastic ideas into their big day.